A Special Investigation Board has been formed to investigate. According to his post-mortem report, Zulfarhan's left ribs were broken and the cause of death was "80% second and third-degree burns" on his body. 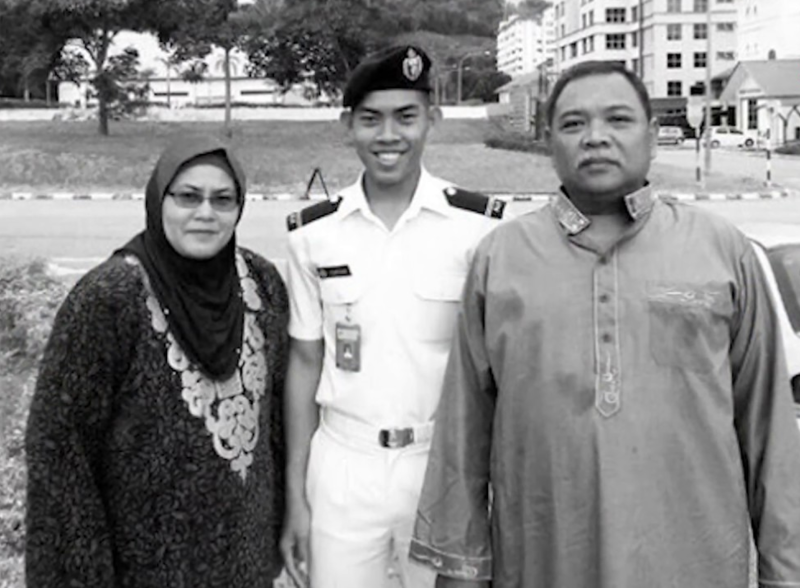 Following the autopsy report, the late cadet's father, Zulkarnain Idros, had said that he and his family are considering taking legal action against the UPNM. On Tuesday, 6 June, the 53-year-old lodged a police report at the Bukit Indah police station. Zulkarnain Idros, a taxi-driver, was quoted by The Malay Mail saying that he was horrified at the magnitude of the wounds inflicted on his son that led to his death. He has demanded a detailed investigation by police on the whole matter. Zulkarnain Idros with his wife and their son, Zulfarhan. However, at the end of their remand date, the four students from University Tenaga Nasional were released on police bail, lawyer Sukhdave Singh Kashmir Singh, who represented three of the students, was quoted saying by the Malay Mail. On the other hand, the 32 UPNM students' remand has been extended until 14 June. Magistrate Sharifah Muhaymin Abdul Khalib issued the order to further remand the 32 UPNM students during a proceeding at the Sepang district police headquarters. According to The Star Online, Defence Minister Datuk Seri Hishammuddin Hussein said the 32 officers would be suspended until investigations into the case are completed. Additionally, the students would be dismissed from the Military Training Academy if investigations reveal that they tried to hide the violent crime from their superiors. Hishammuddin with the parents of the late Navy cadet Zulfarhan. "I am prepared to discuss with the Higher Education Ministry to carry out a reshuffle in the management and administration of UPNM due to what happened," he was quoted saying by The Star Online during his visit to the late cadet's family at their home. According to Defence Minister Hishammuddin, who visited the late Zulfarhan's parents at their residence on 8 June, he recently found out that he happens to be a distant relative of the family. Additionally, to investigate the real motive behind the torture and abuse of the late Navy cadet, a Special Investigation Board (SIB) has been formed by the Armed Forces. 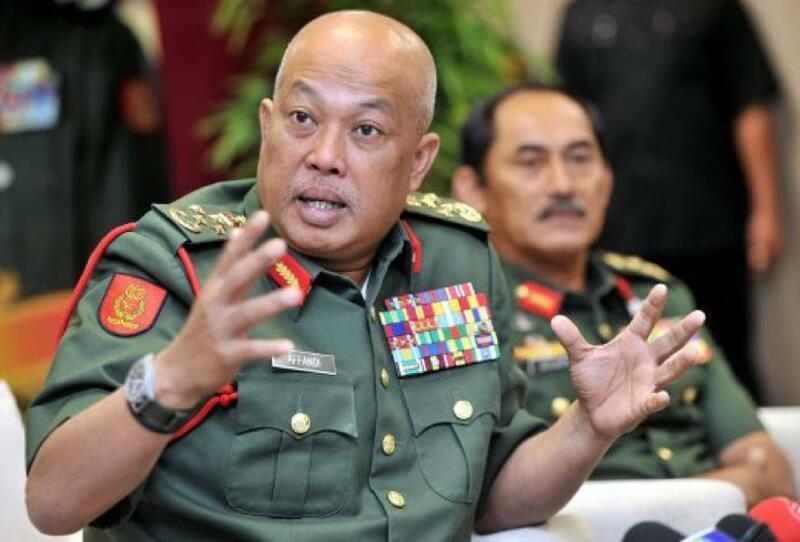 The SIB will be chaired by Armed Forces chief Jen Tan Sri Mohamed Affandi Mohamed Noor. The SIB, which would conduct a thorough investigation on the university's cadets and staff members, will report directly to Defence Minister Hishammuddin Hussein. Hishammuddin, who has pledged to get to the bottom of the incident, was quoted by the New Straits Times saying that, "No one is above the law and nothing will be concealed. We will be transparent with the outcome of investigations." A file photo of Raja Mohamed Affandi Raja Mohamed Noor. All because of an alleged dispute over a laptop. "We want some form of justice for those responsible for my son's death."